Two food halls are in the works for Golden, separated by a quarter of a mile. Three couples and Stanley Marketplace veteran Mark Shaker have teamed up on one, planned for the city’s former mill. 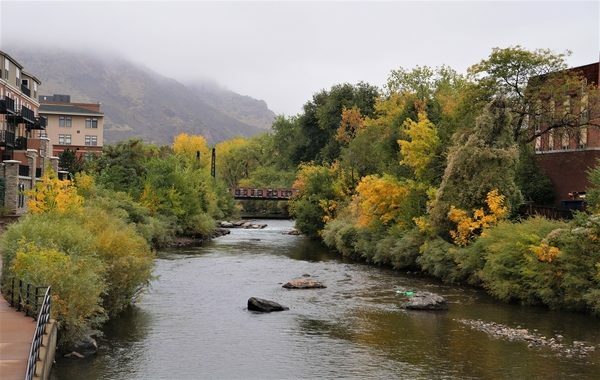 And chef Daniel Asher, best known for his Boulder restaurant River and Woods, is involved with the second, coming to 12th Street. It’s a clear sign that food halls, which combine multiple eateries under one roof with shared seating, are expanding from the urban Denver core to the suburbs. Another food hall is set to open in Edgewater, anchoring the redevelopment of a retail site that has been largely vacant for years. 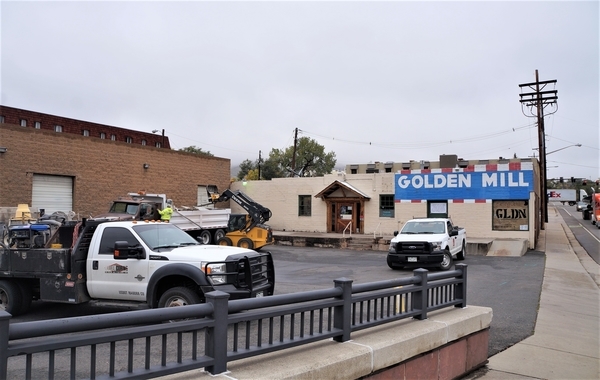 Golden Mill: Golden couples Susan and Wes Ganter and John and Amy McLain, as well as Don and Jayme Martin of Boulder, purchased the Golden Mill property at 1012 Ford St. in May for approximately $1.6 million. The property has two adjacent buildings on it, which total about 6,000 square feet. An animal feed store most recently operated at the site, closing in the spring. Ganter, who recently left a fundraising job with the U.S. Ski and Snowboard Association, said Don Martin, who owns Bloomin, a plantable greeting card company, heard the property was for sale. “We knew developers would be excited about the spot,” Ganter said, noting Golden has had a boom in high-end residential development in recent years. Feed store owner John Boyle accepted their offer. Ganter said the couples knew they wanted to turn the mill into a community gathering space, and settled on a food hall early on, despite a lack of experience with the sector. None of the six — who are in their 40s and 50s — are developers or restaurateurs. Realizing they needed someone with food hall expertise, the couples partnered with Shaker, one of the developers behind Aurora’s Stanley Marketplace and Denver’s yet-to-open Broadway Market. Ganter said that was in part because they felt that, compared to other area food halls, Stanley Marketplace is more of a community hub. 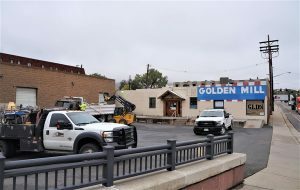 Plans for the food hall, which will retain the Golden Mill moniker, are in the early stages; Ganter said the goal is to open by the end of 2019. No tenants have been finalized. The couples are pursuing a historic designation for the mill building, and plan to add about 1,500 square feet to the adjacent structure. Denver’s Handprint Architecture is designing the project. White Construction is the general contractor. Tributary: The Golden Mill project won’t be the city’s first food hall. A short walk away at 701 12th St., Tributary is aiming for a January opening. 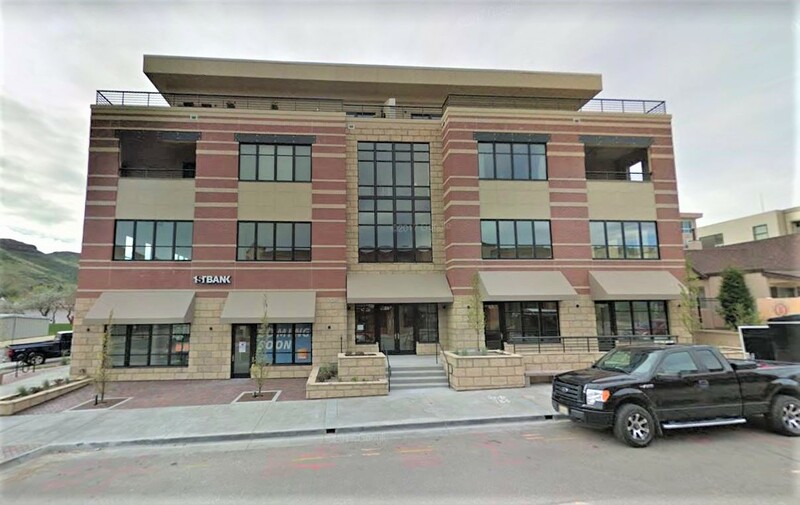 Josh Dinar, who has partnered with Asher on River and Woods and Denver’s soon-to-own Ash’Kara, said eight food and beverage concepts will fit into Tributary’s 3,000 feet space. Generous Coffee, the first brick-and-mortar location for the brand started by “The Bachelor” star Ben Higgins. Kona Bowls, serving acai bowls and other health-conscious options. Woodgrain Bagels, a Montreal-style bagel shop that has locations in Boulder and Denver. A gourmet meat, cheese and sandwich counter concept from Chef Chase Devitt, of Denver restaurant Brider. Dinar said he and Asher also are opening an Ottoman street food venue, serving doner kebab, inside Broadway Market, a Shaker-backed food hall coming to 950 Broadway in Denver. It will join Pizzeria Coperta, the only other tenant that has been announced for the space. 1 Comment on "Two food halls in the works in Golden"
Awesome! So excited for Golden– we need more on the go food spots…. Now we won’t have to go to the Mills for chain stuff.